A deadbolt door lock is recommended to be used on main entries of the home as it offers more security compared to regular door knobs that can be easily picked or jammed. This type of home lock also comes in different types. If you’re considering getting one for your home, it’s best to learn more about your options to help you make the best decision. Here are the three main types that you can choose from if considering deadbolt installation. This is the most common type of deadbolt lock that is used in many homes. It doesn’t have a knob from the outside as it can only be opened from there using the matching key. Without it, it wouldn’t be possible to open it. From the inside, it has a twist knob that you can turn for locking and unlocking the door. The good thing about this type of lock is that you can conveniently open it from the inside, while preventing unauthorized access from the outside. However, if you have a window installed next to the door, make sure that it’s always locked because someone could get their hands through the window and turn the knob from the inside of the door, allowing them to gain access to your home. If you worry about forgetting to lock the window next to the door, you may consider a double cylinder deadbolt lock. 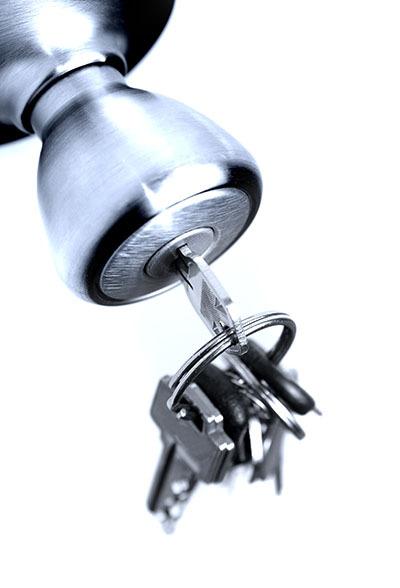 Unlike the single cylinder deadbolt, it requires a key to be opened from both the inside and outside of the door. This means that even when someone finds a way to get their hands on the other part of the door through the window; they will still not be able to get in as it would require the right key. That being said, you should be careful not leave your keys hanging in the door or burglars may still be able to get in. The drawback of this one is that you need to make sure that you always get easy access to the key in case of emergency so you can quickly get out and prevent house lockout. If you can’t find the key or misplaced it because of panic then it could be a problem. This is perfect for those who keep on losing their keys. Since there’s no key to lose, your problem will be resolved. This type of lock would require you to enter the correct code that you set in order to get in. Make sure to choose a code that you would not forget but would be difficult for others to guess to ensure only you have access to your home. This is more expensive than the other types of deadbolt locks but it’s considered as the most secure since it would be difficult to open the door, unless they guess the pin. Whichever of these deadbolt lock options you choose make sure to always practice safety to prevent break-ins.